Having multiple available payment options is almost always a boon for a business. The only circumstance I can think of where it might have the opposite effect is when you start integrating the dozens of trashy international money transfer options that are, in general, only used because of how little fraud protection they have. Obviously, you aren’t going to start with those; if you’re looking to add more payment options, you should start with the valid options that expand what you can do for your customers. It should come as no surprise that a lot of people will simply cancel an order if their preferred payment method is not available. Many people either don’t have alternatives, don’t want to give over a credit card to a brand they don’t necessarily trust, or simply want to keep different accounts separate. 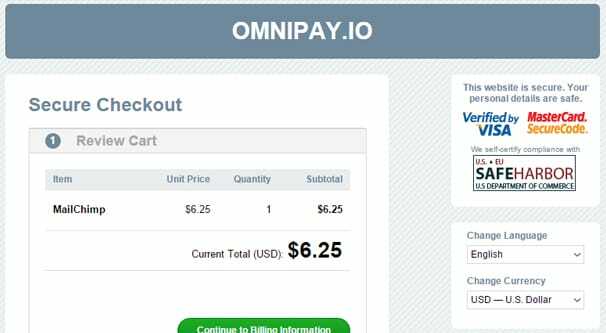 The number one benefit to using multiple payment options on your site is, of course, capturing the purchases of the people who would otherwise leave. If I come to your site and I really want to pay with PayPal, but you don’t offer the option, I’m not about to go out and get a PayPal credit card just to buy something from your site. I’m going to leave and see if I can find what I want elsewhere. Multiple payment options also give more emphasis on customer convenience. Most users like having the control inherent in picking one of several options, even if there’s really only one they would ever use. The option of using a different one, if they want to set it up, makes them more likely to purchase. This convenience helps minimize cart abandonment at the final step. There’s also the element of international accessibility that comes from accepting payments through non-standard means. Credit cards are the norm in the USA and much of Europe, but other options allow payments from a wide variety of other nations. If your product is digital or can be shipped internationally without too much issue, accepting payments globally helps you expand on a much broader stage. What alternative payment options do you have? Here are five ideas. Stripe is one platform that allows a bunch of different payment options through one interface. Setting up Stripe is quite easy and doesn’t take very long, though you do have to make sure you’re not one of their banned businesses. As with most payment processors, Stripe won’t work with businesses in notoriously high-fraud areas, like virtual currencies, money lending, legal services, gambling, illegal content, or adult content. Read that link for the full list. Stripe allows payment processing via credit card, including international credit cards. They work with Visa, Mastercard, American Express, Discover, JCB, and others. They’ll also accept payments in over 135 different currencies, doing the conversion automatically behind the scenes. If you want to stretch beyond credit cards – and you should – you can also use Stripe to activate ACH bank transfers, Alipay, and WeChat Pay. Alipay is very valuable for businesses that have a lot of customers in China, and WeChat Pay is an excellent new method of payment that is picking up steam in Asia, particularly Hong Kong. It’s worth noting that up until recently, Stripe accepted Bitcoin payments. However, issues with the time to complete a transaction, the changing fees and value of the coin, and the lowered utility of BTC for actual payments, Stripe has decided to end support for Bitcoin. Don’t worry; I’ll have other methods you can use if you want to accept cryptocurrency payments. Stripe is fairly middle of the road as far as payment processors go, particularly in terms of fees. They aren’t the lowest you can find, but neither are they outrageous. For all but the largest enterprise-level businesses, you fall into the Pay As You Go plan. This plan is simple; every transaction costs 30 cents plus 2.9% of the cost of the transfer. For businesses with small, frequent sales, the percentage is minimal. For single large-ticket items, it can add up, but that’s to be expected with any payment processor. One of the main benefits of Stripe as I’ve found is that, once everything is up and running, you receive payments about two days after they complete. There’s no waiting for a Net30 payment or submitting invoices or any other tedious cash-out processes like some other processors have. It’s very convenient for most small businesses. I said I’d give you a way to accept cryptocurrency payments, and I’m holding up my end of the deal. First, though, you have to decide if you truly want to accept coin payments or not. There are benefits to accepting coin payments like there are with any other payment method. Opening yourself up to more potential purchases means more sales, if your audience is the kind of group willing to use coin payments. I wouldn’t set it up if I didn’t already have that kind of audience, but you can if you like. There’s also the fringe benefit of coin payments that is the ability to, well, hold a cryptocurrency. If you’re into volatile investments, you can keep some coin on hand; it could increase dramatically in value. Of course, it can also tank in value, so it’s a gamble you have to risk. On the other hand, cryptocurrency volatility, transaction times, fees, and other issues make it difficult to use as a viable payment option. The lack of potential chargebacks is good, but at the same time, the anonymity means you could be paid in stolen money and have no recourse. There are also effectively an infinite number of coins out there, and something like CoinPayments only accepts a couple hundred of them. 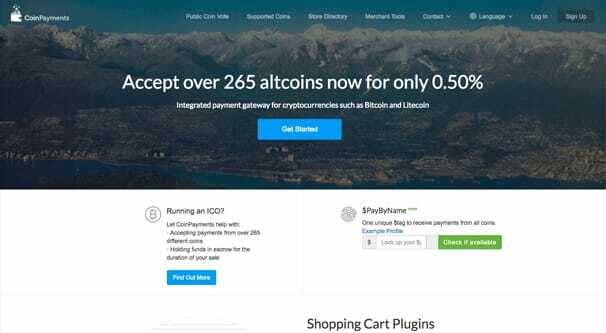 Speaking of CoinPayments, they are the current go-to best option for accepting Bitcoin, Litecoin, Etherium, and any of their other supported coins. They work with a wide range of existing shopping cart systems, including WooCommerce, PrestaShop, Magento, and more. They work with mobile as well, and can settle coin payments directly into fiat currency immediately. As far as fees go, they’re fairly reasonable. Incoming payments that stay in a cryptocurrency wallet charge .5% – half a percent – of the transaction price. If payments are forwarded to an external address the same fee applies, along with a transaction fee. Conversions require a conversion fee, withdrawals have a transaction fee, and personal deposits are free up to 30,000 USD, after which it’s the same .5%. 2Checkout is similar to Stripe in many ways. It’s another online payment processor with a relatively simple setup. They allow payments from virtually every country in the world, with the exception of countries where global or national regulations prevent them, such as Iran and Myanmar. They have the usual range of credit cards; Visa, Mastercard, American Express, and Discover. They also do debit cards, JCB, and Diner’s Club International. On top of that, they have PayPal integration. 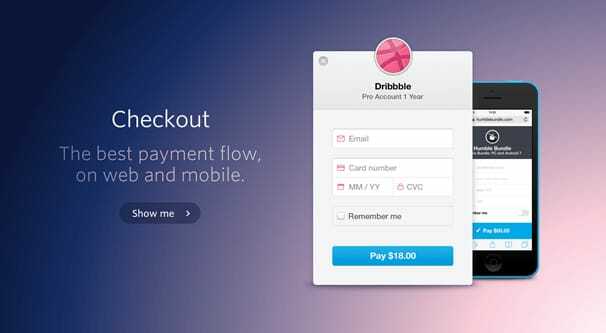 The primary reason I’m adding 2Checkout to the list is because of the PayPal integration, interestingly enough. 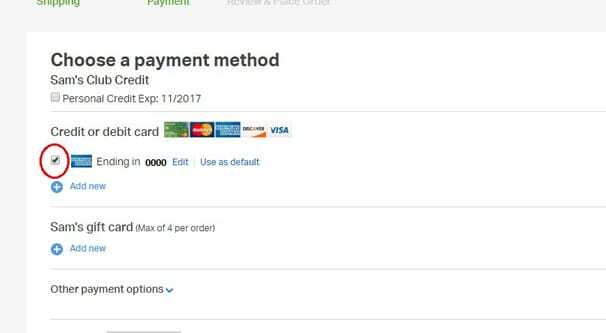 You can, of course, simply use PayPal directly. However, to do so, you need to have a segmented payment process where you send the user out via a redirect or in an iframe to PayPal, where they can then log into their account and authorize the payment. This always feel a little sketchy and, while it’s ostensibly secure, is still a process that has in the past been open to exploitation. 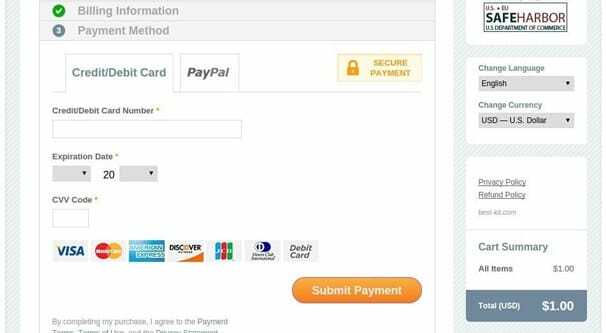 Accepting PayPal payments through 2Checkout allows you to do all of that through their system instead. This can be more trustworthy for some users, though honestly it’s all about the same these days. As long as the payment system you’re using is PCI compliant, the issue is never with man in the middle attacks or snooped traffic; it’s with hacked servers and insecure means of data storage. 2Checkout has the additional benefit of allowing a flexible recurring billing system with a set of different plans you can offer. You can do weekly, bi-weekly, monthly, or even a custom schedule that fits your needs and the needs of your customers. Calculating the rate for fees for 2Checkout is where things get a little complicated. As with Stripe, fees in the united states are a standard 30 cents per transaction plus 2.9%. Different markets, though, have their own fees. If you’re doing a lot of international business with people in, say, Norway, you’ll be paying 30 cents plus 2.4%. Japan is 3.9% and a 45 cent flat fee. There’s also a base fee of 1% for international customers if you’re based in the United States; each country has their own international fee as well. There’s a $20 fee for chargebacks, and a fee for currency conversion. On the plus side, you get volume pricing if you process more than $50,000 per month. They don’t publicly say what their volume pricing is, however. Skrill is a very pared-down payment system that is quite popular internationally, so if you want to accept international bank transfers, this is the way to go about it. It’s very easy to start up an account and link it to an international bank, whatever bank you happen to be using of course. 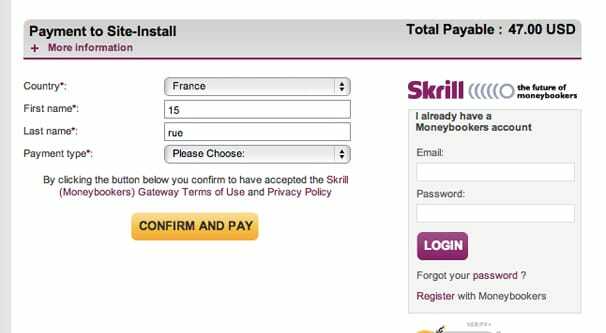 Anyone who has their own Skrill account can send you money in exchange for goods and services. When you receive payments, you have the choice of where the money goes. It can be transferred immediately to your bank account, left in a mobile wallet, or put in a Skrill wallet for use in your own payments. The major benefit of Skrill is that they accept businesses in certain niches that many other payment processors do not. They advertise working with gaming and gambling companies, like Bet365 and Ladbrokes Coral. They also do Forex, which is unusual for many payment processors. A lot of mobile games use it as well. Skrill also has a sort of affiliate system, under their shopping system. Brands using Skrill can create offers for Skrill themselves to promote; other Skrill users can pay using Skrill and get some kind of discount. There’s a 50% discount for buying Kaspersky, for example. Skrill is not without fees, of course. Paying a Skrill wallet with another Skrill wallet is free, receiving money is free, and adding money to a Skrill wallet is free most of the time. However, pulling money out of a Skrill wallet is not free; they take 1.9% of what is removed, up to a maximum of $20. This is actually a very low fee if you’re keeping money in Skrill and pulling it out only when you need to for bookkeeping purposes. That said, if you need the money in your bank account immediately, it’s just another transaction fee, more or less. 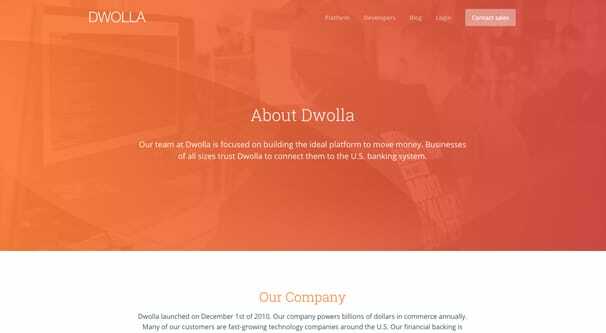 Dwolla is aimed at being a platform enabling businesses to move money. It’s widely used by fast-growing tech companies and tech groups, but is available for anyone. They are backed by Union Square Ventures, the Foundry Group, and Andreessen Horowitz. Dwolla doesn’t really do anything that these other payment options don’t, but it does it in a fast, integrated platform. Of primary interest is their focus on ACH transfers – bank to bank – using their API. They work with international banks as well as domestic banks to cover a wide variety of options. You can do one-time payments, recurring payments, and even mass payments with their system. As far as fees are concerned, public information is scarce. They used to charge 25 cents for any transaction over $10, but they have added various merchant accounts with varying transaction fees. For the most part, it seems like you pay for Dwolla and get waived fees, these days. This may have changed since I last checked, however. Regardless of the option you choose, there are many payment methods you can integrate to help allow customers to pay you in a manner of their choosing. Why not check them out?